If you are Gen Y, you would have grown up watching Inspector Gadget and his thrilling adventures with his niece Penny. Relive your childhood through the newly launched online slot Inspector Gadget at Monster Casino. Does it live up to its hype? Keep reading to know more. Inspector Gadget launched by Blueprint has 5 reels and 20 paylines. The slot is filled with features including free spins and multipliers. Other than this you also have mini features that pop up now and then. The backdrop looks like an old-school machine which uses gears to spin the reels. Keeping up with the theme the symbols are safe, top-secret documents, handcuffs and the car which are the high paying symbols. The low paying symbols in the lot are the J, K, Q and A. A smouldering bomb is the wild and it can replace all the symbols but the M.A.D Bonus which is also the scatter. During any spin, if the phone rings one of the following features is initiated randomly. During the following features, Go Go Gadget Reels keep expand and initiate more paylines. Mission Gadget Wilds – More wilds created for that spin. Mission Penny Stacked Wilds – Stacked Wilds appear for this spin. Mission Mystery Brain – Mystery Brain symbols appear which later transform into any other symbol. Mission Colossal symbols – Colossal symbols appear on reels 1, 2 and 3 or reels 2, 3 and 4. Mission M.A.D – M.A.D Bonus symbols appear which take you to the bonus round. Three or more M.A.D Bonus symbols on a payline trigger the M.A.D Bonus Round. In this round, the Wheel of Fortune spins and when it stops one of the following features is revealed. Safe Heist – Pick safes on the screen to reveal the prizes. Once you are done, you are given an option to Accept or Reject. All the other bonuses can be won from here. 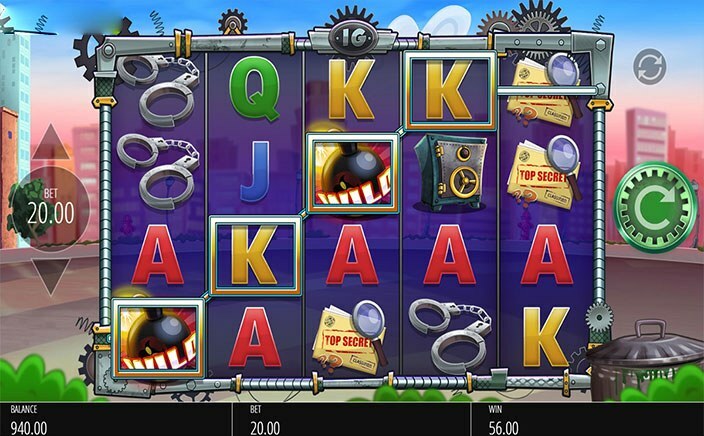 Dr Claw’s M.A.D Agent – Win multipliers by revealing three of the same agents. M.A.D bonus takes you to M.A.D Money feature. Every Penny Counts – Free spins which rewards sticky wilds. M.A.D Money – Choose the symbols on display to reveal cash bonus until you reach collect. M.A.D Dash – Free spins in which bonus will be revealed after each spin. 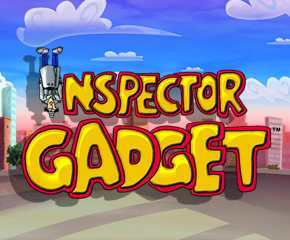 Inspector Gadget is a medium variance UK online slots game i.e rich in features and bonus rounds. For players who loved the cartoon series, this slot will be a walk on the memory lane and of course, let you win some money.